Erin said her wedding cost cutting meant she could afford to print her wedding pictures. 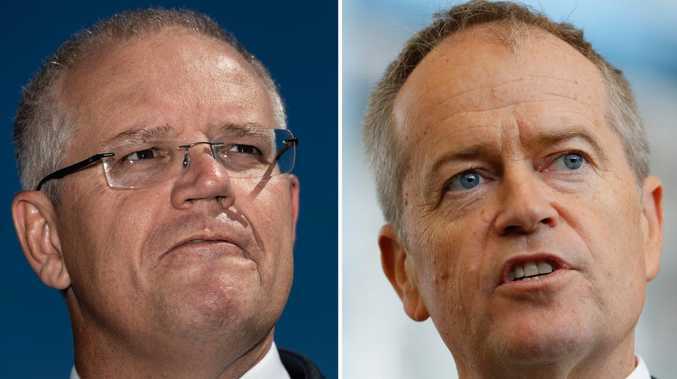 "We got that quote back and were so taken aback because it was just crazy expensive," Erin told news.com.au. "I knew it was way too much to spend on flowers, so I wanted to find a way to cut back on costs, and flowers was a possible area to do that." 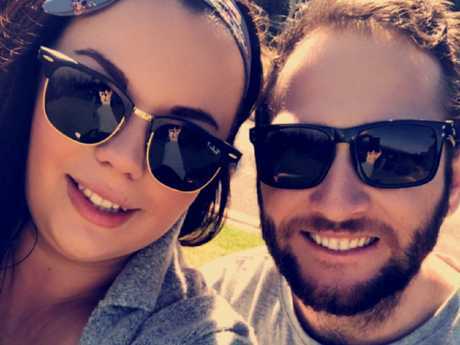 Erin and Bradley Wasson searched for areas to cut costs when they received expensive quotes. 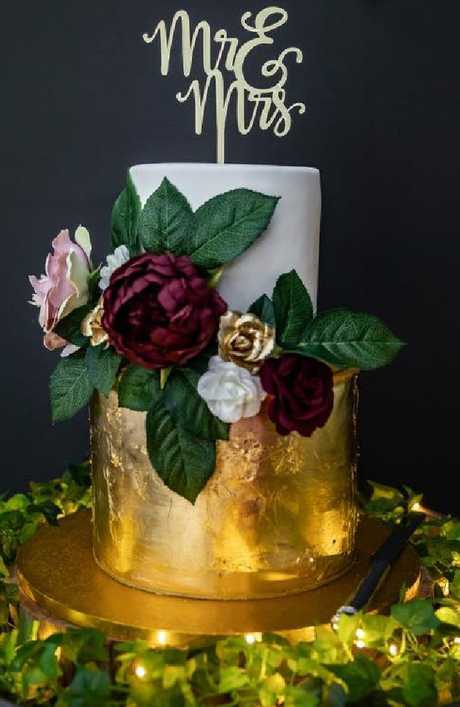 With a September wedding booked in, the bride-to-be was strolling through Kmart when she spotted a selection of artificial flowers in the store's home section and was inspired. 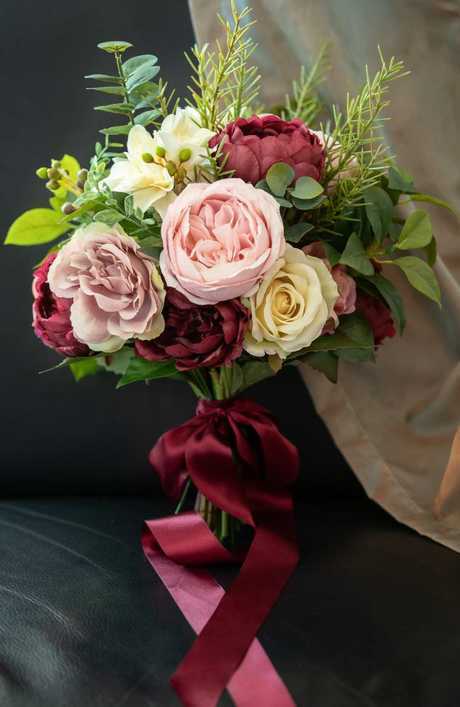 "We had decided on a gold, blush and burgundy colour scheme and these fit in perfectly with that, so I bought a few bunches to play around with," she said. Erin even repurposed a Kmart ribbon she took from a couch throw she purchased. 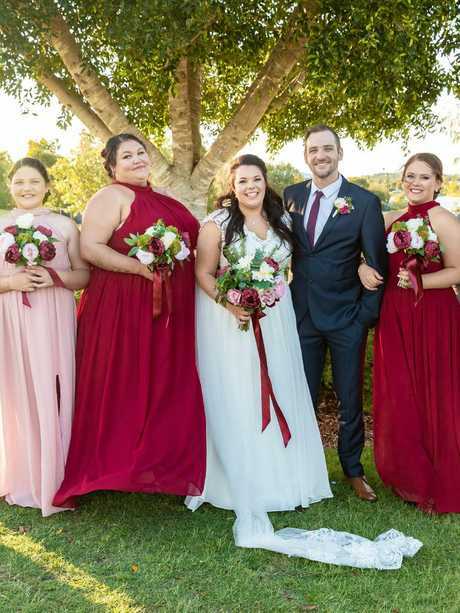 With some help from her steady-handed mum, Erin said she was able to whip up her bridal bouquet and her bridesmaids' bouquets months before the big day. 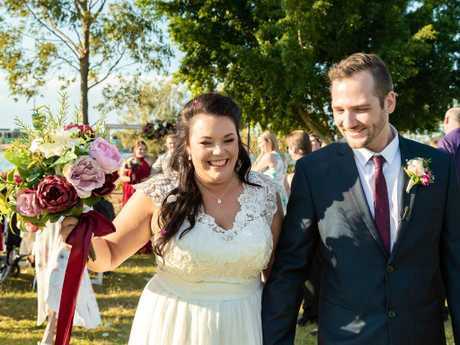 The stunning bride said 'no one would have ever known' her bridal bouquet wasn't real. 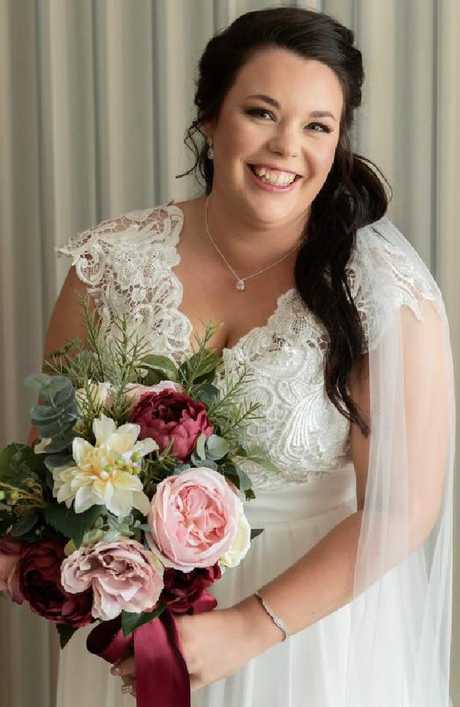 According to Erin, the Kmart flowers were used to make her bridal bouquet, her three bridesmaids' bouquets, their hair pieces, as well as decorate eight reception tables and her wedding cake. "I was also quoted $250 for my bridal bouquet and $175 each for the girl's bouquets," she said. Erin even used the artificial flowers in her hairpiece. 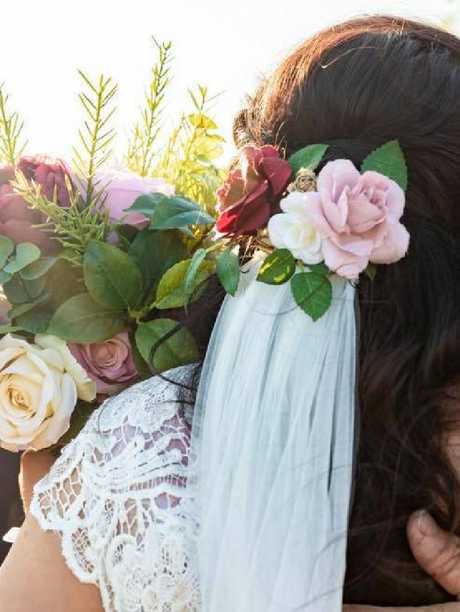 Rather than spend the quoted $65 on cake flowers, Erin got crafty and repurposed some floral garlands she purchased from Kmart's accessories section instead. "I cut the smaller flowers off the headbands and then glued them onto a stem of greenery with a hot glue gun," she said. "It took a little while to get all the smaller pieces together, but it looked amazing in the end." Erin used smaller garland flowers as well as artificial ones on her wedding cake. To decorate her seven reception tables with fresh flowers in glass bowls, Erin was quoted a total of $770 - or $110 per table. Instead, the savvy bride purchased seven $3 brass pots from Kmart's gardening section to fill with her artificial arrangements. "I split up the bunches of flowers and greenery and arranged them all well in advance for just $10 a table," she said. 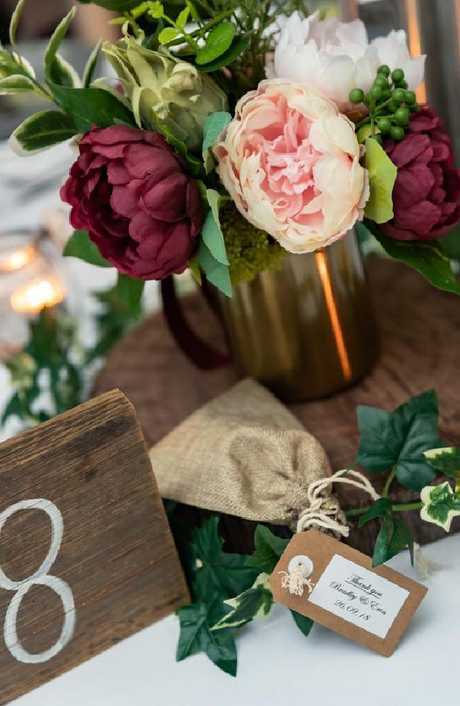 Wedding guests were treated to a stunning floral centrepiece, courtesy of Kmart. "Originally, we weren't going to be able to afford printing an album of our wedding photos," she said. "But we were able to use the extra money we saved getting an album, which is something we get to keep forever." According to Erin, no one knew the flowers weren't real. "I would absolutely recommend this trick to other people, but get the flowers as soon as you see them because Kmart changes their stock regularly, so they can run out," she said. Erin's clever find has gone viral since she posted it online, with almost 2000 people liking her photographs and hundreds of others sharing her "creative" idea with their friends. 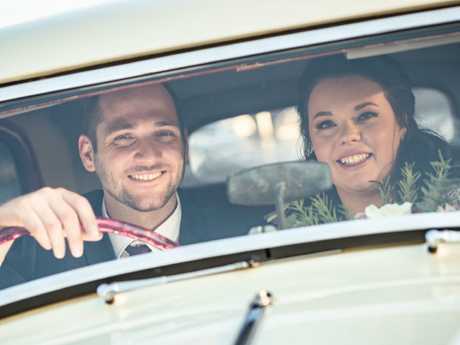 "Look at these, we could totally do this for my wedding," one woman wrote to her friend. "Wow! I'm debating what to do for my wedding in August, thanks for the inspiration," another bride-to-be wrote. Erin's creativity saved her and her new husband thousands of dollars. 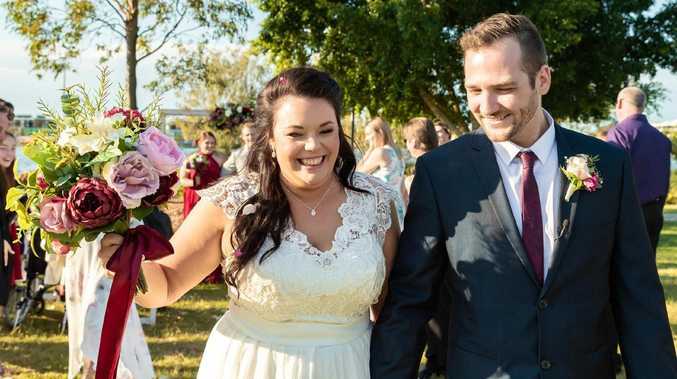 The majority of comments praised Erin's resourcefulness, claiming she had a savvy head for cutting costs and her flowers could "keep on giving" long after her big day. "Oh my god, I just love everything you've done. You are very creative and a beautiful bride," another said. Erin and her bridesmaids had handmade bouquets, straight from Kmart.